DSAM is deeply committed to fair and ethical direct sales practices in the marketplace. 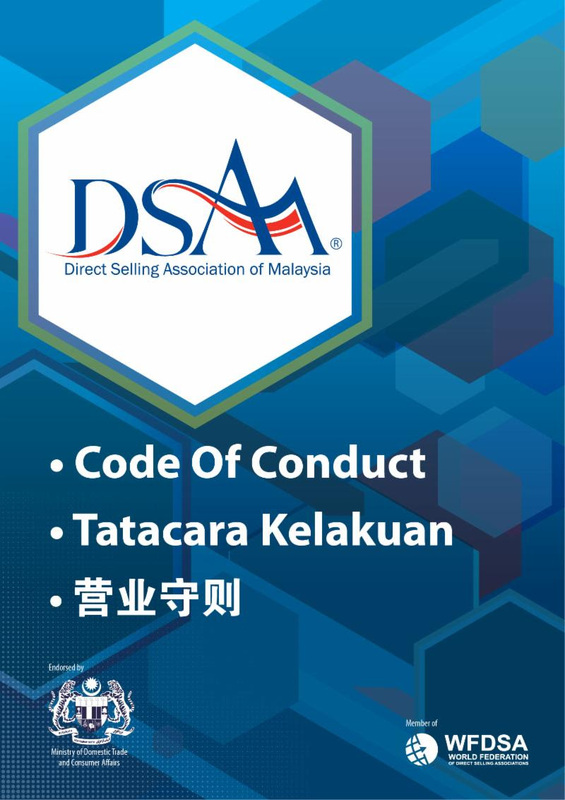 DSAM believes in self-regulation and to inculcate the spirit and practice of ethical direct selling within its member companies, DSAM has adopted a stringent Code of Conduct by which member companies are to adhere to in every aspect of their business.The DSAM Code of Conduct, endorsed by the Ministry of Domestic Trade and Consumer Affairs, was launched in April 1998 and enhanced on 18 June 2009 by the Minister. Members of DSAM must abide by the Code of Conduct as a condition of continuing membership. Member companies must include a copy of the Code into the starter kit for distributors and the Code is also made available to the public free of charge. DSAM hopes that the Code would also act a guide for non-member companies to assess their own operations. 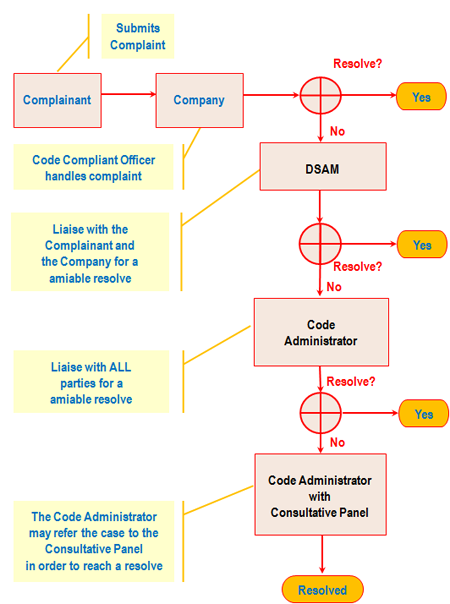 DSAM has a complaints handling procedure, whereby complaints that are unresolved by member companies are forwarded to the DSAM Code Administrator for decision. The decision made by the Code Administrator is binding on the member company but not on the complainant. Besides settling complaints, the Code Administrator also conducts a series of not less than 4 visits per year to the premise of member companies to ensure compliance of the Code by members. The Code Administrator issues an annual report to the DSAM Board and may make recommendations arising from his findings during the course of his work.